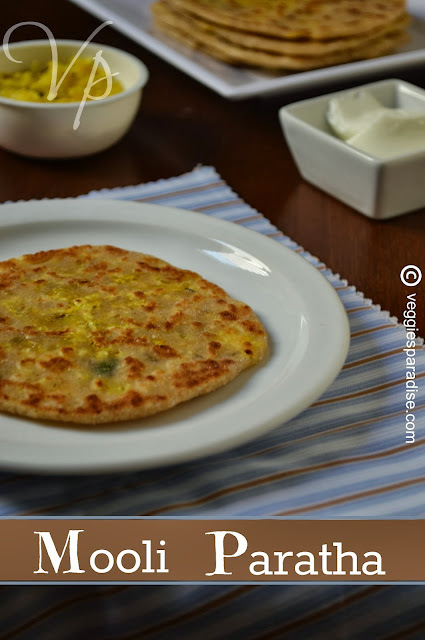 Mooli paratha - Mooli paratha is a very popular Indian flat bread made with whole wheat flour stuffed with grated radish. Radish, a root vegetable is very healthy and nutritious . It is good for diabetic patients. 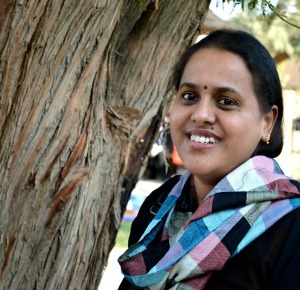 It is rich in folic acid and other minerals. It can be eaten raw or can be served as salads. It has a pungent taste and smell. I normally prepare sambar and pachadi with this veggie , this is the first time I prepared paratha and it did come out very well. Now coming to the recipe , it is very simple to prepare. Wash,peel and grate the radish . Squeeze the water from it (preserve the water as it can be used to prepare the dough). Heat oil in a pan and pour little oil. 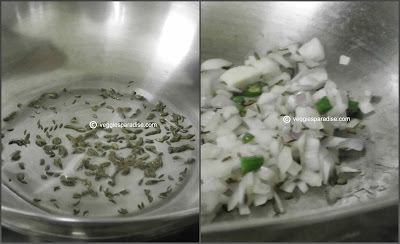 Add cumin seeds, when they turn brown add the chopped onions and green chillies, fry it well. 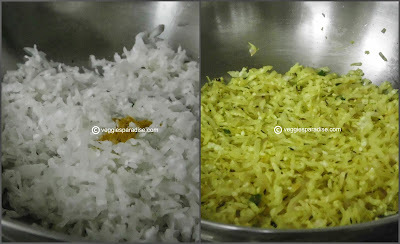 Now add the radish , tip in the turmeric powder along with little salt and mix well. Allow it to cook for about 5 to 10 minutes. Remove from heat. In a bowl Mix the wheat flour with the radish water and salt. Gradually add water and form a dough. Finally add little oil and make a soft and smooth dough. Cover with a wet cloth and let it rest for about 20 minutes. 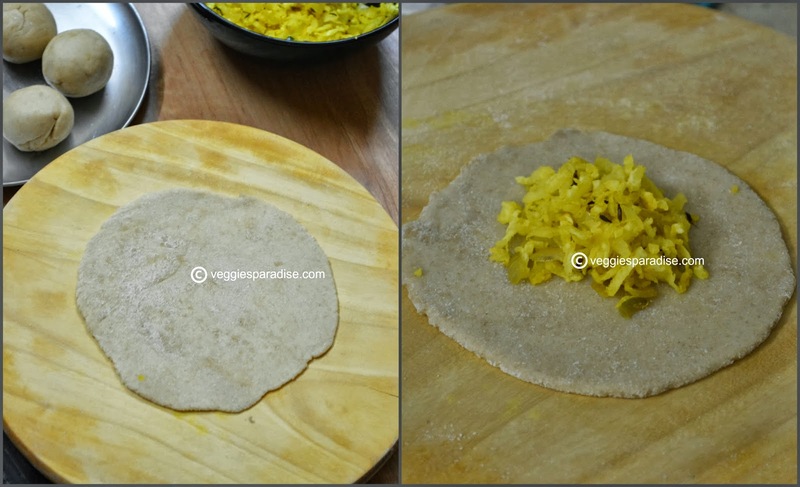 Pinch a small portion from the dough and make a perfect ball shape, roll it , place the radish mixture and seal the edges. 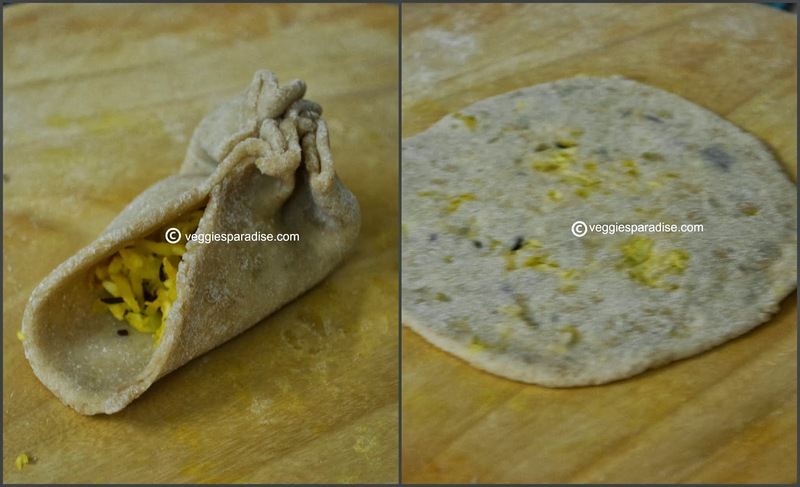 Dust it in the flour and roll again and make a paratha. 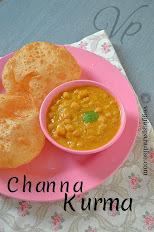 Place them in a hot tawa and when done serve it hot . 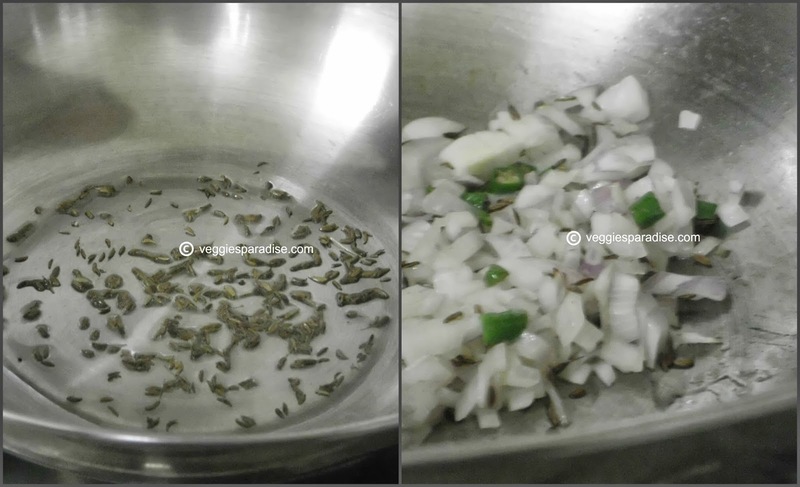 Heat oil in pan, add the cumin seeds, as they begin to darken, add the onions and green chillies. Fry until the onions turn soft. Add the grated radish along with turmeric powder and salt and Mix it gently. Cook it uncovered for about 10 minutes. Remove from heat. Combine the flour with salt and the water squeezed from radish in a mixing bowl. Add water little by little and mix well. Drizzle little oil and knead well to form a soft dough. Leave it to rest for about 10 - 20 minutes. Divide the dough into equal lemon sized balls. Flour the board , take a lemon sized ball and roll it . Place 2 tsp. of the filling in the center. 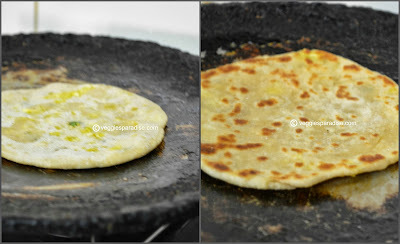 Heat a tawa and place the paratha , drizzle oil along its sides. As soon as brown spots appears bubbly, turn over and when brown spots appear the paratha's are ready. Repeat the process with the other paratha's. This reminds me that i have not made this paratha in a long time... looks lovely. I usually add the Raw mooli and make it should try your way soon. 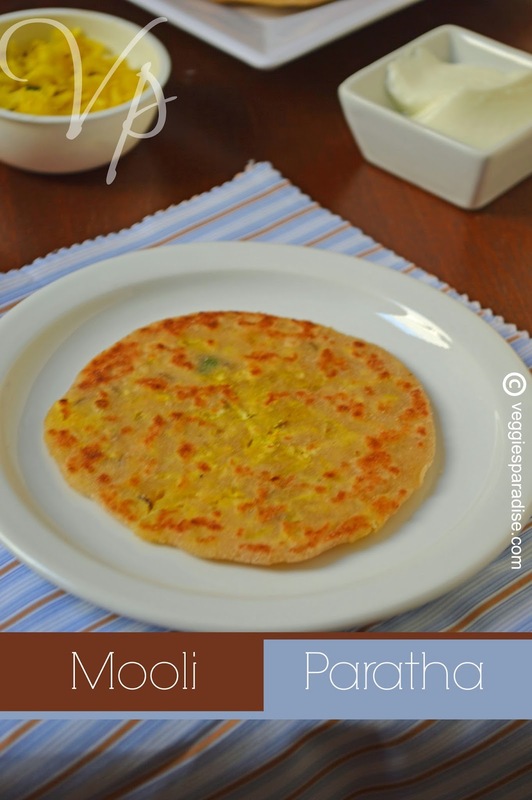 Mooli ka paratha looks yum.Please pass me two and some pickles. Awesome paratha..My all time favorite..perfectly done. Prefectly rolled parathas, well done.